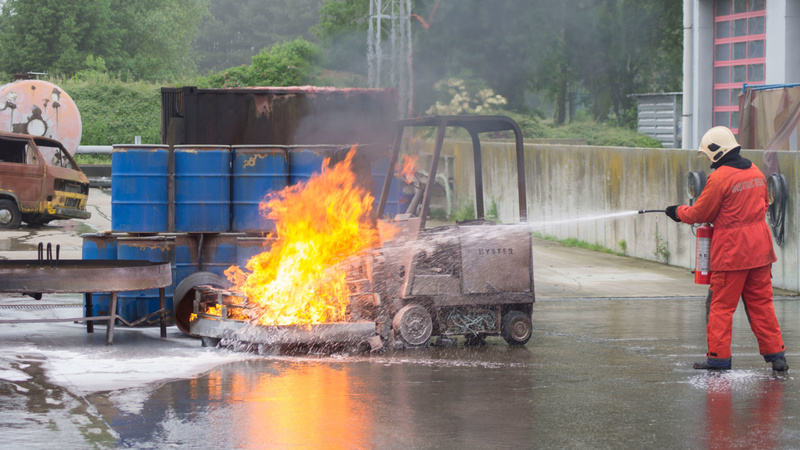 Modern fire-extinguishing foam is composed of a large number of chemicals that all contribute to rapid extinguishing performance, high resistance to re-ignition and a long shelf life. Maximum effectiveness, even after years of storage in the foam system, is the key. To achieve this goal, very strong chemicals are used that can have a negative effect on the environment. 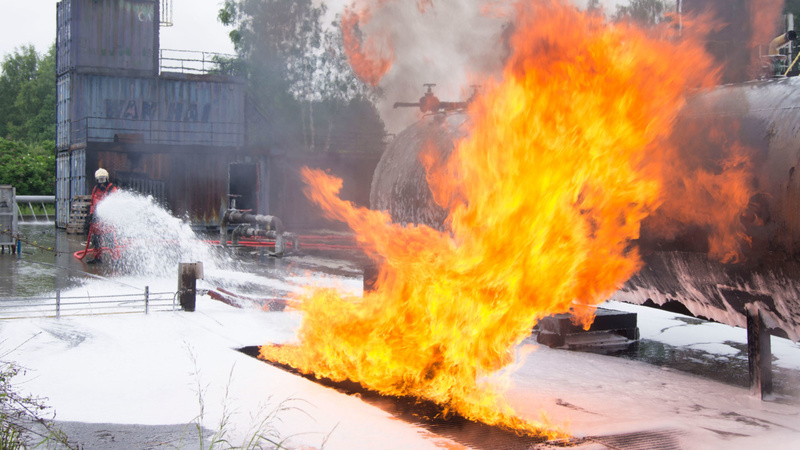 That is why fire-extinguishing foam must be used with care and unnecessary dispersion must be prevented. 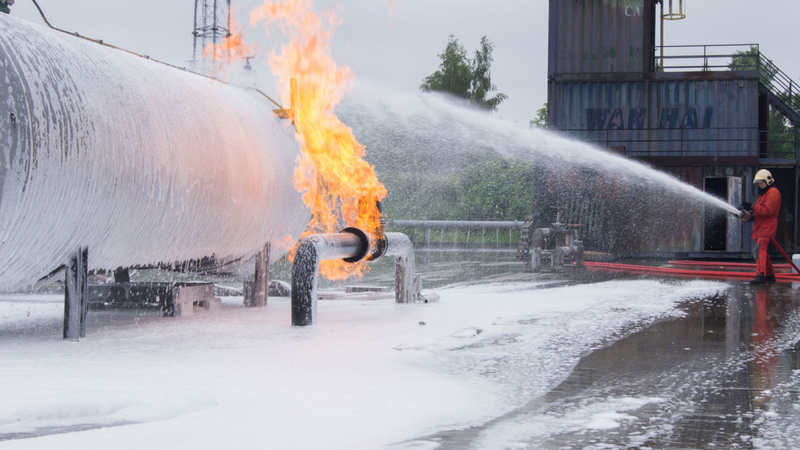 In order to be able to practice safely and realistically without damaging the environment, Saval developed the PractiClass™ training foams in collaboration with TNO. These foams contain no harmful fluorensensides and no monoethylene glycol as antifreeze. 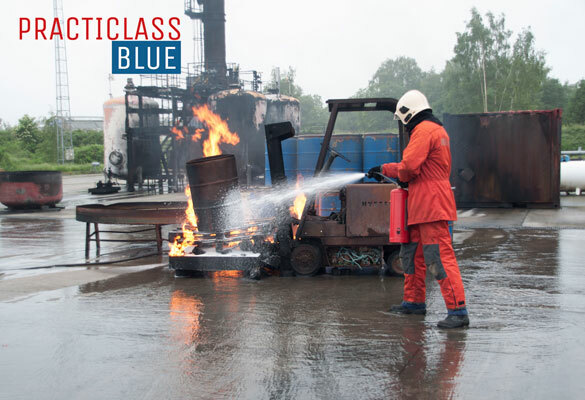 PractiClass Blue is a ready-to-use premix intended for filling portable and mobile fire extinguishers. The product has a low viscosity and low foaming in combination with standard extinguisher nozzles and the standard storage pressure of the selected fire extinguisher. PractiClass Blue can be practically practiced on boiling gasoline and heptane, but also on gas / water exercise objects. PractiClass Green is a foam concentrate intended for 3% admixture by means of venturi intermediate mixers. The concentrate has an increased viscosity in order to be able to exercise properly the correct setting of the intermediate mixer, use of pickup tubes and the cleaning procedure after the use. 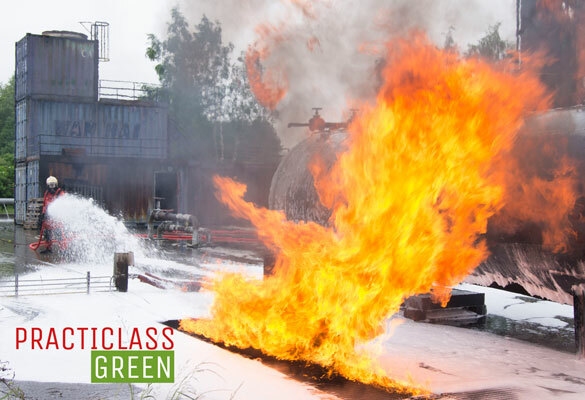 With PractiClass Green you can safely practice large fire scenarios; the product has a good tool life and fire resistance. Both PractiClass Blue and Green are supplied in 1000 liter IBCs. In order to further minimize the environmental impact of the exercises, Saval works with returnable packaging; the empty IBCs can be returned free of charge to Saval for reuse; you only pay transport costs. The PractiClass™ training foams can be kept for 6 months – do not order more than necessary. If you give us your exercise schedule, we will ensure that the right training session is ready for you in time. 25% / 50% drain time low > 10 min min. 25% / 50% drain time medium > 10 min min.